This is one of the unique features of memory foam, so it’s definitely a feature that you should look for when comparing different mattresses. After lying down on such a mattress, the body weight results in the mattress “melting” away from the pressure of the body weight, until the weight is distributed evenly over the mattress’ surface. However within time your body temperature starts to affect the material to soften in areas where there are higher temperatures. 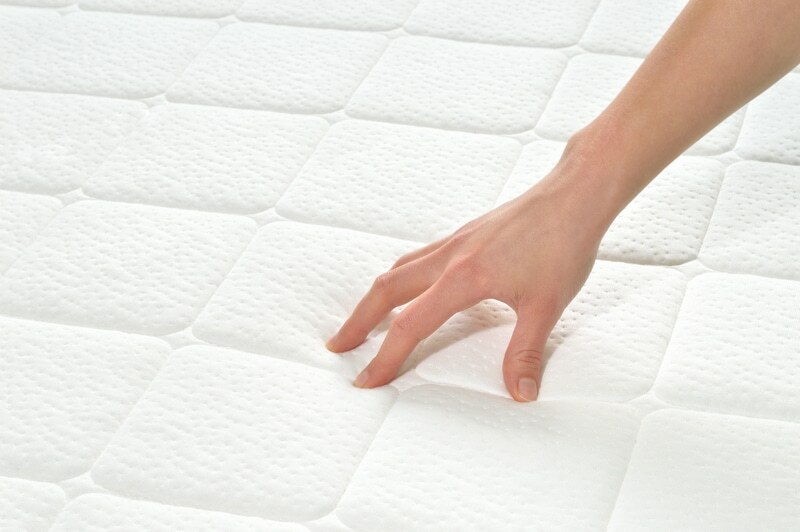 This process provides the top-notch comfort of a real memory foam mattress. The density of the memory foam mattress will not only affect the price of the unit, but also its overall price. Top-notch densities are usually within the range of 5.3 pounds to 6.2 pounds. The reason is that such densities are generally considered the best ones for supporting the human body. So there’s the minimum density that you should look for. Besides that, the density of the mattress will also affect the price, so it’s definitely an issue to keep in mind. As a side note, if you choose a mattress with a lower density it will likely stop returning to its original shape like memory foam is supposed to, within a few months. That basically defeats the purpose of purchasing a memory foam mattress. This is basically a memory foam mattress that goes on top of a box spring mattress. The price tags of toppers are generally much lower than full-size mattresses, due in part with them being thinner than regular memory foam mattresses. However, you should also keep in mind that toppers also tend to be low-quality options, which could cause problems in terms of comfort while snoozing at night. If you’re going to choose a topper, make sure that the quality is worth the lower price, otherwise you might be making an unwise purchase. This is another key factor of a memory foam mattress’ price. Due to the size and weight of the mattress, shipping costs can greatly add to the overall cost of the unit. That’s why it’s important to consider transporting the mattress yourself whenever possible. It can save you a small fortune and help to provide a better experience with a memory foam mattress. As with other products, the brand and model of a memory foam mattress will have a major effect on the price. High-end brands will have high prices, and so on. The same is true for different models of the same brand, as the number and quality of features that a mattress has will have a major impact on the cost. Before shopping for a memory foam mattress, it’s critical to think about your budget. It’s certainly OK to spend slightly more than you’ve budgeted, but you should avoid spending significantly more. That’s not all. You might discover that a brand/model that you never imagined purchasing could be the best one for your needs. If that’s the case you shouldn’t hesitate considering the mattress over other options. Ultimately it will help you to get a good night’s sleep. This issue might not seem to be related to the price of a memory foam mattress, but is actually quite related. The reason is that if a company doesn’t have a return policy or one that’s valid for at least a month, there’s a good chance that you could end up buying more than one mattress. Even if you take all the necessary steps to choose the “right” mattress, you might not be 100% certain until you actually test it out by sleeping night after night on the unit. Sometimes that can take several days or even weeks to determine. If a company doesn’t have a return policy you could end up purchasing two or more mattresses until you find the right one. Consider these issues so you get the best mattress instead of just the cheapest one.